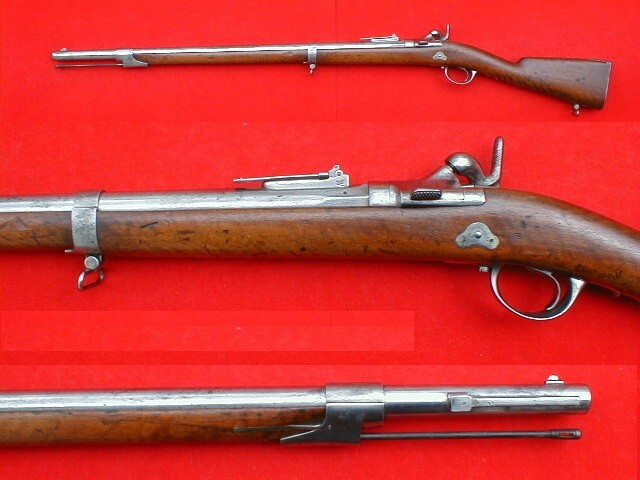 French M.1867 Cavalry Carbine "a Tabatiere"
DESCRIPTION: Carabine de Chasseurs Mle. 1867. 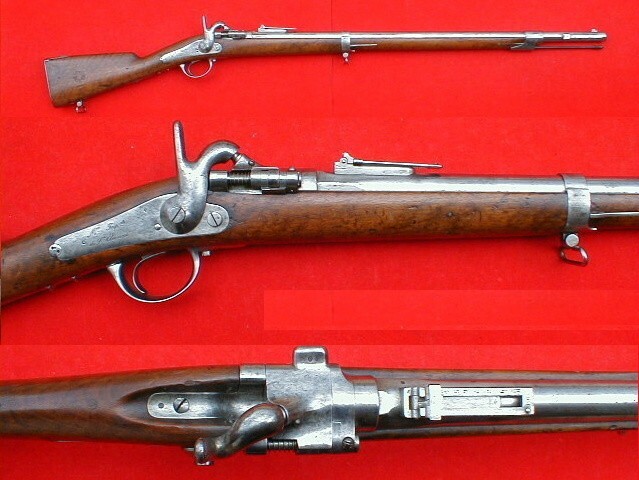 Scarce, French single shot breech loading carbine, converted from Mle.1859 percussion carbine. 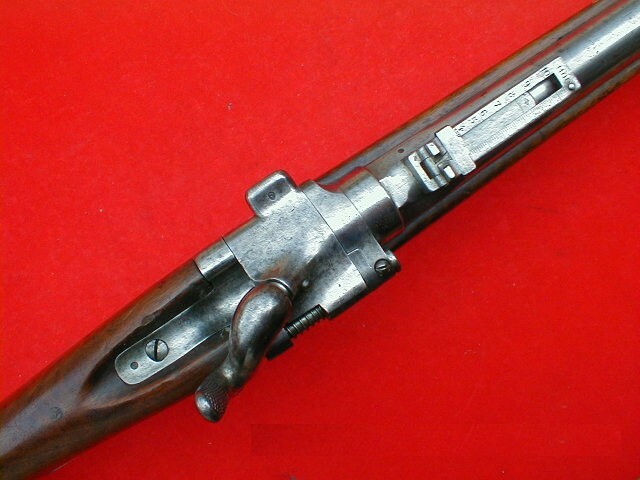 Modified Snider hinged block action. The lock plate has following markings, "M-re Imp-ale de St. Etienne". All the metal parts display crisp French proof marks. 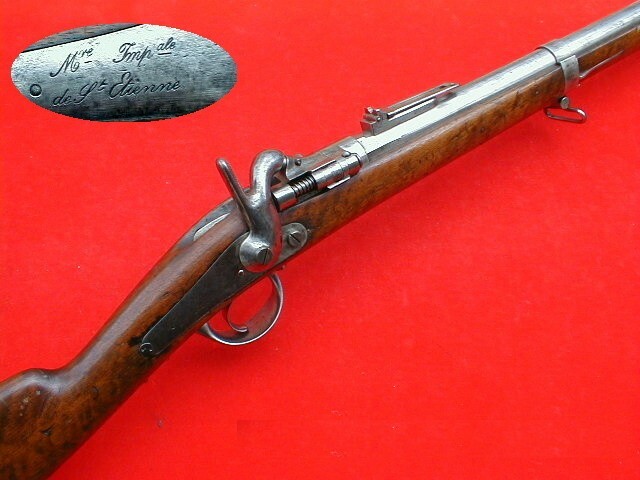 The right side of the buttstock displays a nice cartouche with "Holy Water Plug" inside. 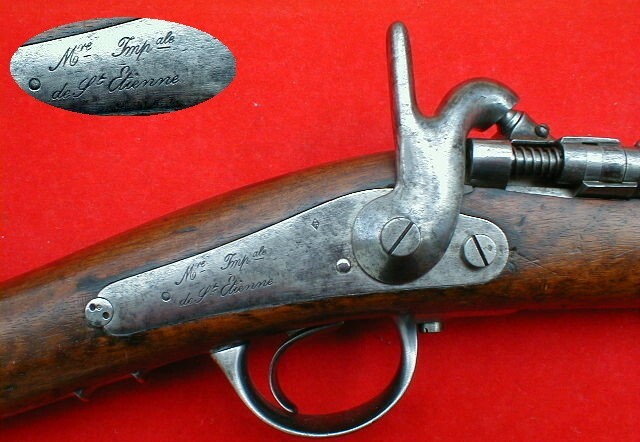 The cartouche shows a date, "1861" and some other French markings. 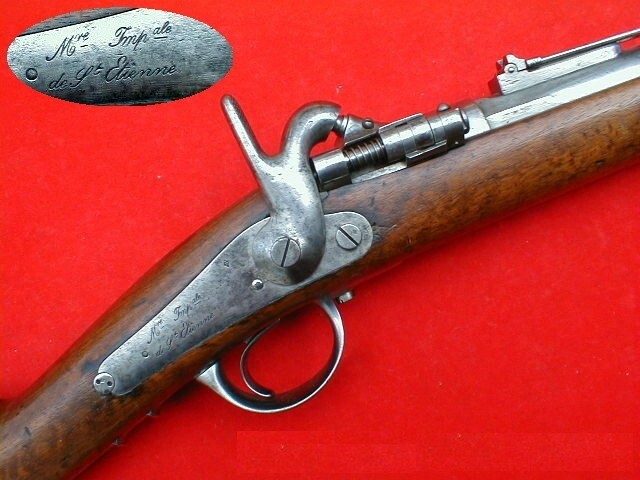 The left side of the buttstock displays some proofmarks under the crown and/or the asterisk. 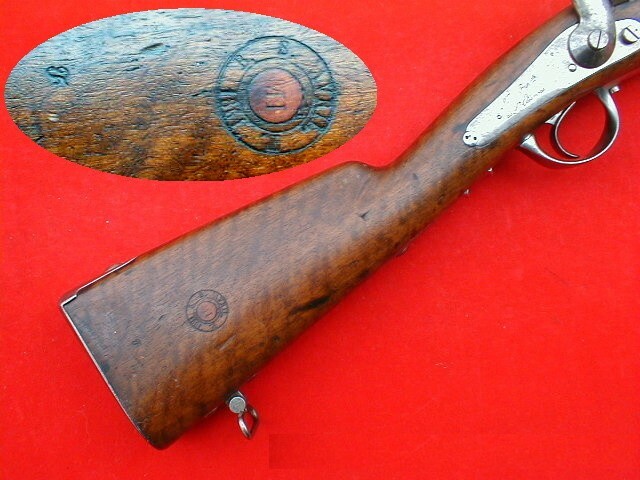 There are also some other small marks and numbers stamped on the stock in various places. Two steel barrel bands configuration. Steel receiver. Steel buttplate and trigger guard. Rear sights is graduated to 1100 meter (?). 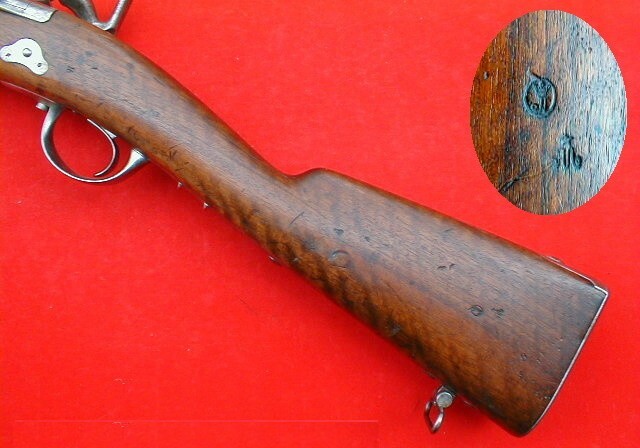 Typical French hammer with straight spur. Two military style sling swivels. 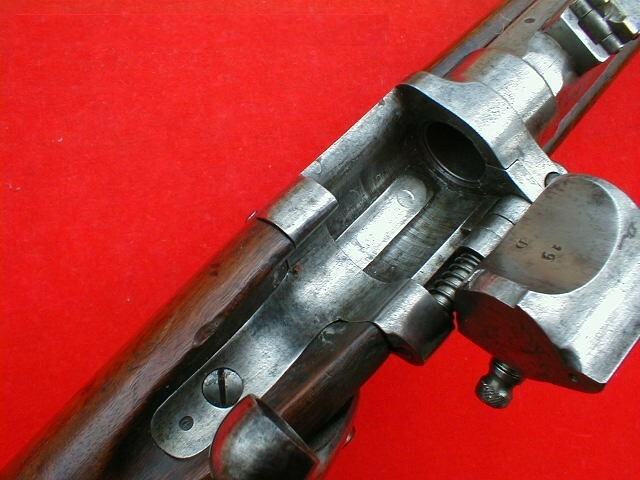 Massive saber bayonet lug on the right side of the muzzle. 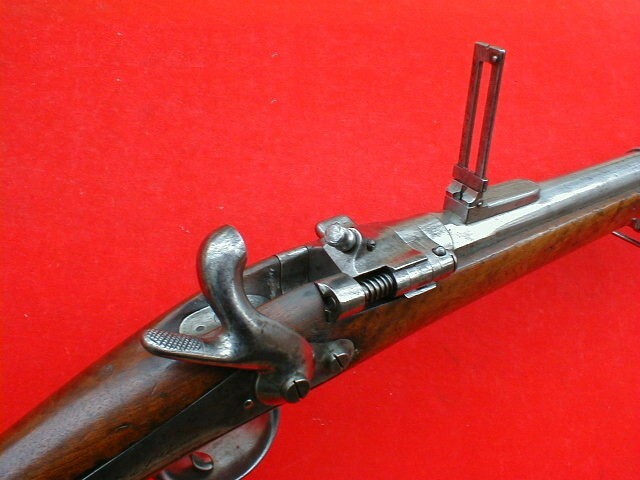 Complete with the cleaning rod (may not be correct for this model of the carbine).